The world has looked on in horror as the Ebola outbreak in West Africa has rapidly developed into a humanitarian catastrophe. 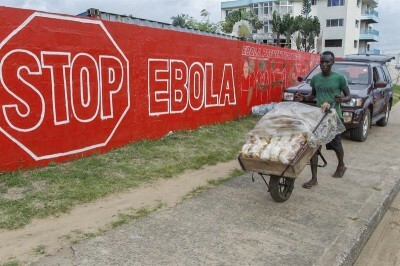 The present outbreak, concentrated in Guinea, Sierra Leone and Liberia, has infected more than 8,000 people already. On Wednesday, the first person in the United States to contract Ebola, Thomas Eric Duncan, died in a Texas hospital, nearly three weeks after he returned from a visit to Liberia. Meanwhile, a Spanish nurse who was helping treat Ebola-infected patients who had been flown to Europe has become the first person to contract the virus outside of Africa. These two cases highlight the danger of the virus spreading internationally, including to areas of the world with much less developed health care systems. However, the Western media’s overwhelming focus on these cases in Europe and the United States has served to obscure the ongoing catastrophe in Africa—a consequence of the devastating poverty that is a direct product of the capitalist system. Sierra Leone, Liberia and Guinea have been the hardest hit by the epidemic. Nearly half of the infections that have been reported have resulted in death—or 3,857 people. The actual death toll is likely to be significantly higher. Aid groups have warned that the diseased could become totally out of control by the end of the month. Despite the vicious character of Ebola, it is not as easily spread as other viruses. Infected individuals can be effectively quarantined with proper health care facilities. Such facilities are not, however, available in West Africa. The health care systems in the region, already weakened by decades of civil war, have collapsed under the strain of the epidemic. According to the WHO, Liberia has only 621 of the 2,930 beds necessary to treat the current number of Ebola patients in that country, while Sierra Leone has 304 of 1,148 necessary beds. The disease feeds, in the final analysis, on poverty. Liberia, Guinea and Sierra Leone are among the poorest countries in the world. Liberia has a per capita income of just $790, Guinea $1,160 and Sierra Leone $1,750. Total per capita public and private health care spending was $32 in Guinea, $65 in Liberia and $96 Sierra Leone in 2012. After standing by for months as the virus spread, the major capitalist powers have made the barest pretense of assistance. The $350 million that has so far been pledged by the United States to combat Ebola is a pittance compared to the hundreds of billions of dollars spent on military aggression and the trillions of dollars monopolized by the corporate and financial aristocracy. Indeed, under the pretense of a humanitarian mission to build Ebola clinics, the major powers have seized on the opportunity to intensify their military operations in their former colonies. The United States has deployed up to 3,000 troops to Liberia. The US is seeking to assert its hegemony over the region by developing a foothold for its Africa Command (AFRICOM), which currently oversees military operations on the continent from Stuttgart, Germany. Meanwhile, Britain announced on Wednesday that it would be dispatching at least 750 troops to its former colony Sierra Leone as part of its own supposed humanitarian mission. The conditions of extreme poverty that have facilitated the spread of Ebola are the legacy of American, British and French imperialism in Liberia, Sierra Leone and Guinea. These countries continue to be important sources of raw materials for their former colonial masters just as they were 100 years ago. France dominated Guinea as a colonial possession between 1898 and 1958, profiting from the harvest of bananas, coffee beans, pineapples, palm oil and peanuts. Guinea currently has among the largest proven bauxite reserves in the world, accounting for 25 percent of the world’s reserves. Nearly all of the bauxite mined in Guinea is shipped out of the country and refined into aluminum elsewhere. The export of the aluminum ore accounts for approximately 60 percent of its annual exports. Sierra Leone has its origins as a country in coastal resettlement colonies established in the 1780s by the British for many of the thousands of black slaves whom it had freed during the American Revolution. Following the Berlin Conference in 1885, which set off the European Scramble for Africa, Britain moved to violently consolidate its control over Sierra Leone’s inland territory. Sierra Leone gained its official independence from the British Empire in 1961. Today, it is one of the main sources of the world’s diamonds, which accounted for 46 percent of the country’s export revenue in 2008. Liberia was established in 1822 as the first and only US colony in Africa by the American Colonization Society as a scheme to settle freed slaves and free blacks on the continent. Liberia officially gained its independence in 1846, but the government was completely controlled by a small layer of elites descended from African American settlers until 1980. Raw resources such as rubber and lumber are Liberia’s dominant exports. The Firestone Corporation has operated the largest rubber tree plantation in Liberia since 1926, when it signed a 99-year lease on a million square acres of land. As part of the effort to maintain their control, the major imperialist powers have had their hands in a series of civil wars that have wracked the region. Sierra Leone and Liberia were torn apart by especially bloody civil wars between 1989 and 2003. The fighting displaced hundreds of thousands of people who crowded into Liberia’s capital of Monrovia, creating slums like West Point, which was placed on lockdown in August in a repressive and futile attempt to halt the spread of Ebola in the city. It is the interests of the corporations and banks that dictate the policy of the major capitalist states in these countries and throughout the continent. The vast majority of the population, confined to poverty, are of interest only insofar as they function as cheap labor for mines or plantations. While the Ebola virus is extremely deadly, the epidemic spreading throughout West Africa is fundamentally a social disaster—for which the major imperialist powers and the world capitalist system are responsible.